Three-day sailing event, which features ocean and bay racing, returns to Southern California for 19th year. SAN DIEGO — The National Offshore One-Design (NOOD) Regatta Series will make its only West Coast visit during the third weekend of March, opening up in San Diego March 17; it is the national regatta’s second stop of its five-city tour and will be co-hosted by San Diego Yacht Club and Coronado Yacht Club. At least 70 boats are already registered for the regatta, which features three racing venues (two on the ocean and one in San Diego Bay). The regatta will also feature a cruising course in the bay. “New to the San Diego NOOD last year was the Etchells Class. For the second year, the Etchells Fleet will use the NOOD Regatta as the Bill Bennett Memorial Regatta and the first event in their West Coast Spring Series,” a San Diego YC spokesperson stated about this year’s race. Racing begins March 17 at 12:30 p.m. and resumes at 11:30 a.m. on March 18 and 19. Spectators can view initial racing at Shelter Island, though the competition will head out of the bay and farther offshore during the weekend. San Diego YC will host an awards ceremony March 19 and present prizes by class. More than 100 teams competed in 12 classes during last year’s NOOD Regatta in San Diego. Bruce Golison of Rossmoor, California won the San Diego event with his J/70 Midlife Crisis. The overall winner from each of the five events will compete in a championship regatta held Oct. 22-27 in the British Virgin Islands. St. Petersburg Yacht Club hosted the first NOOD regatta, Feb. 17-19, in the Tampa Bay area. 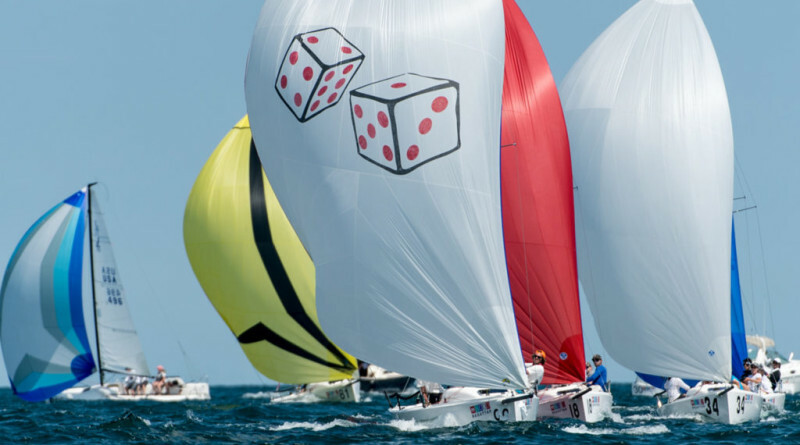 Upcoming regattas will be held in Annapolis, Maryland (May 5-7, Annapolis Yacht Club), Chicago (June 9-11, Chicago Yacht Club), and Marblehead, Massachusetts (July 27-30, Corinthian Yacht Club). Helly Hansen, a technical sailing apparel company, sponsors the NOOD Regatta Series. The sailboat series, put on annually by Sailing World magazine, has been running since 1988.